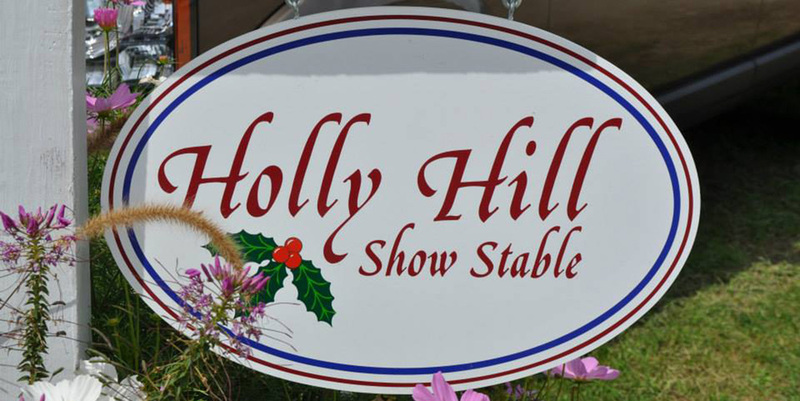 Holly Hill Show Stable offers three different options for clients who wish to board their horses with us. 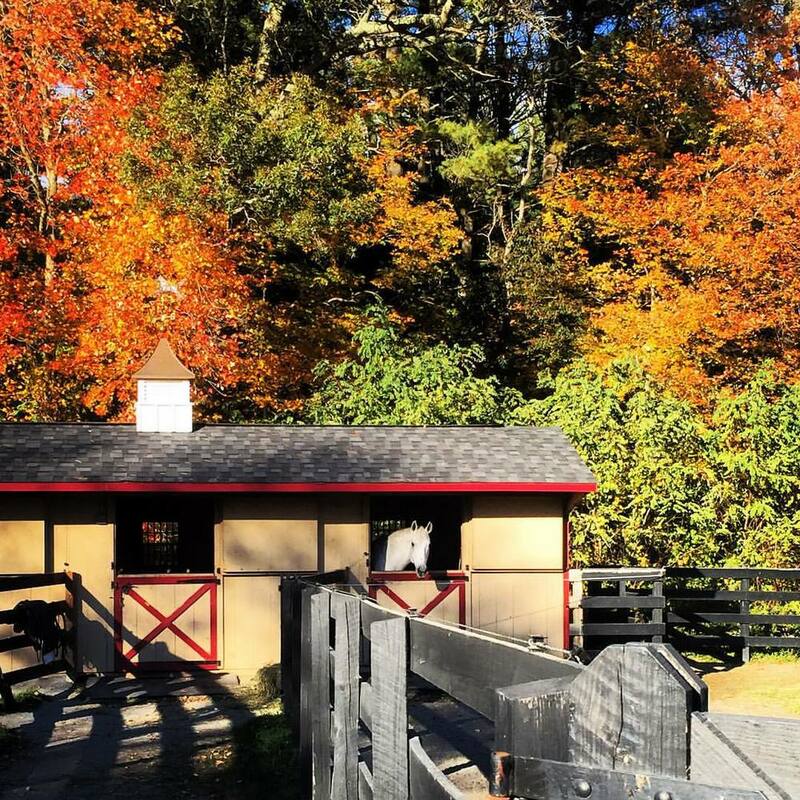 Our picturesque facility features several show barns, six manicured turnout paddocks, a large outdoor training ring and a beautiful indoor riding facility. We also furnish a heated tack room with refrigerator and Keurig for storage of client tack. The owners of the facility live on the premises. We are happy to discuss your individual needs and availability in order to determine which plan is best for you. Please call the office at (781) 826-7248 or Phyllis Cervelli at (617) 967-8009 for our current rates. Board is charged on a monthly basis. Students must attend to their horse a minimum of 4 days a week. This option includes care of your horse or pony with turn out, basic supplements including salt and flax seed. Option 1 boarders are required to take a minimum of 4 lessons or pro rides per month. Students tack up, untack and groom their own horses daily. Client cleans own tack. Lunging not included, pro rides not included. This does not include cleaning and/or repair of sheets and blankets or cleaning of show wraps or schooling pads. Riders not able to attend to their horse at the minimum of 4 days a week will be charged a separate daily grooming fee. This rate is a YEAR ROUND rate. Horses traveling to show in Florida or other parts of the country will get two month board at half price while traveling to maintain rate. Option 1 Boarders will be required to purchase a lesson book. Students must attend to their horse a minimum of 2 days a week. This option includes care of your horse or pony with turn out, basic supplements including salt and flax seed, instruction at Holly Hill Hanover including 4 lessons and 4 pro rides per month as required by horse/rider. Limited laundry service is provided, includes 4 full grooming per month. Student tacks up, untacks and grooms their own horses daily. Client cleans own tack. This does not include cleaning and/or repair of sheets and blankets or cleaning of show wraps or schooling pads. Riders not able to attend to their horse at the minimum of 2 days a week will be charged a separate grooming fee. This rate is a YEAR ROUND rate. Horses traveling to show in Florida or other parts of the country will get two month board at half price. Savings of $100 per month. Recommended for clients commuting over 25 miles to the barn. No minimum client weekly attendance. This is full care board. This option includes care of your horse or pony with turn out, basic supplements including salt and flax seed, daily grooming and 8 lessons or pro rides at Holly Hill Hanover as required by horse/rider. Tacking up and untacking for lessons and pro rides, grooming, lunging as needed is included. Tack cleaning is included. Client participation is welcome and client should make arrangements with the stable ahead of time to have horse prepared. Limited laundry services included. 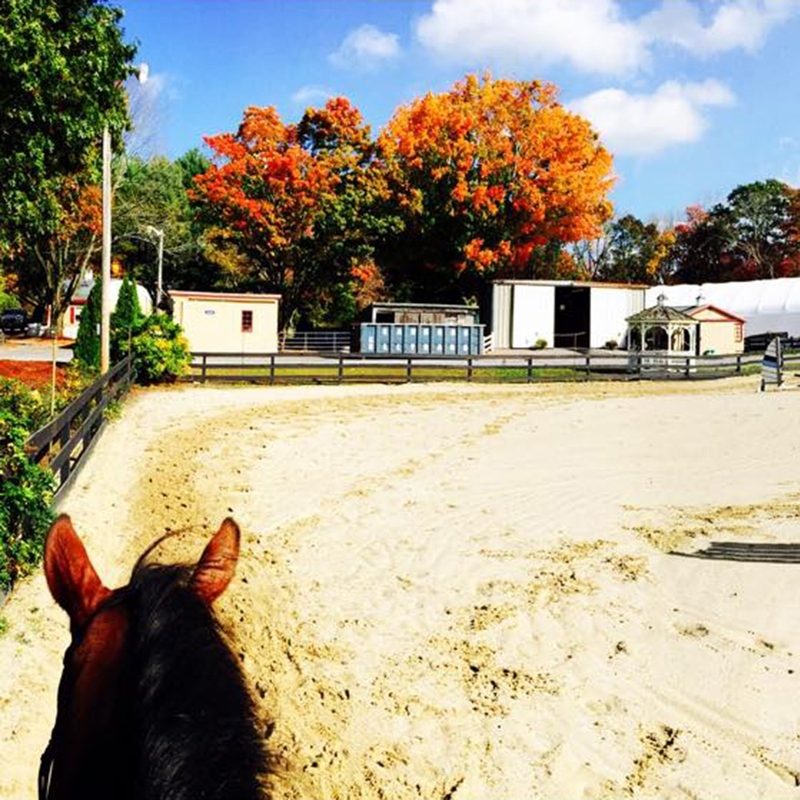 This does not include cleaning and/or repair of sheets and blankets, cleaning of show wraps or schooling pads. This is a non-year round rate. A three-month minimum is required for this option. To guarantee your stall should your horse travel, for each month your horse is away, your board will be discounted to half price for up to three months. This option includes complete care of your horse with turn out and training and pro rides AT HOME. No lessons are provided. Laundry services provided. Includes all necessary pro rides, grooming, lunge and tack up service. This does not include cleaning and/or repair of sheets and blankets, or cleaning of saddle pads. All lessons are extra with this option. A three-month minimum is required for this option. All Board: Tack cleaning supplies, mineral salt, preparing horse for turnout (boots, fly spray, blanket, etc). Manure removal, fly spray, Gamma oil, Dengie, Show Sheen/Cowboy Magic, Betadine Scrub, Shampoo, Liniments, Rice Bran, hoof care, alcohol, poultice, preventicare wormer, hair coat supplements, medications, paste wormer, Strongid C, Nutrient Buffer, turnout boots/bells, DMSO, Tendonil, Special handling for farrier or vet, medications, mineral oil. Rates vary. Service cost to be added to boarding bill, or paid directly to provider when appropriate. Tom Hill visits Holly Hill on a regular basis. His services are highly encouraged for all clients. As needed during Winter months. Available upon request in addition to Board options 2 or 3. Available upon request for shows or daily care. Daily rate, plus groom's gratuity. Daily rate, includes mane and tail. Available upon request. Daily rate. Our resident horse transportation expert, Frank Cervelli, provides shipping to local and regional shows. As quoted. Available upon request and highly encouraged for all clients at home and at shows. Per ride rate. 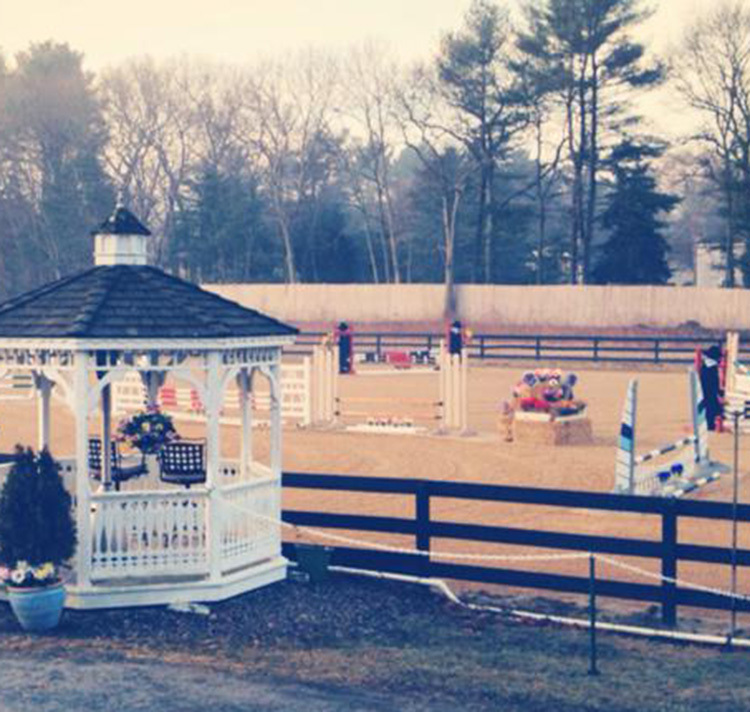 Specialty tack and equipment is available for lease. Daily or weekly rate. Comprehensive dietary planning for your equine partner. As quoted.